Festival formation may have slowed, much to do with the growing booking power of those already established, but large events in English fields are still as common as muck on a Glasto campsite. London might be overrun with shufflers, but in Bristol clued-up students rule the roost. And Love Saves The Day, a two-dayer in the centre of town, embodies everything the clubbing epicentre of the west stands for. Awash with local talent — Eats Everything, Christophe & Lukas, even Neneh Cherry are all onboard — it's led by the promoters that make this city such a special city to party in (Just Jack, Crack, Futureboogie). But it's the thought that goes into this line-up that makes it one of the UK's most impressive. Staying true to Bristol's roots to bass with stages from Digital Soundboy/Black Butter — and a massive nod to house — this festival won't just save the day, it'll make your summer. Bursting onto the UK festival circuit last year, it hasn't taken long for We Are FSTVL to muscle itself into the big league. Booking every man and his dog to play on an airfield just outside of London on the second Bank Holiday in May, it's harder to find a house and techno artist worth booking (d&b and EDM too!) that isn't on here, than one that is. Stages hosted by Cocoon, Paradise, Circoloco, Kekahuma, Defected, Hospitality, Toolroom, Secretsundaze, Connected, Ram and Eat Sleep Rave Repeat ensure this is another guaranteed sell-out. Like the other weapons of the ever-expanding artillery at the hands of Manchester's Warehouse Project, Parklife is only getting stronger. 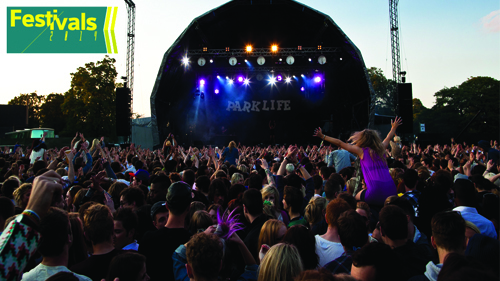 Now able to offer gigs at WHP and Croatia's Hideout and Unknown as well as this monster rave in a field to artists, it's no wonder that literally everyone — including massive headline acts like Rudimental, Foals, Snoop Dogg and Disclosure — is playing Parklife this year. And the DJ line-up is just as definitive. 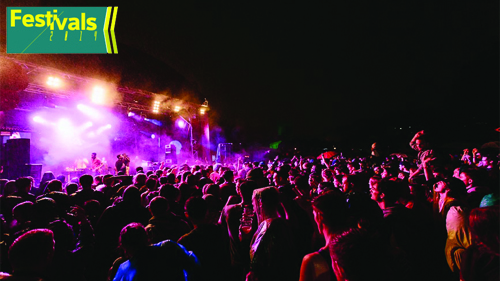 The choice festival for more alternative dance fans, Field Day has struggled with sound constraints due to its residential location in east London over the years, but it's made up for that with line-ups of only the edgiest names of the UK scene. That — as well as the offer of post-ironic track and field antics, vintage clothes stalls and a bandstand in the woods — is what keeps so many of London's most fashion-conscious clubbers flooding back each year. 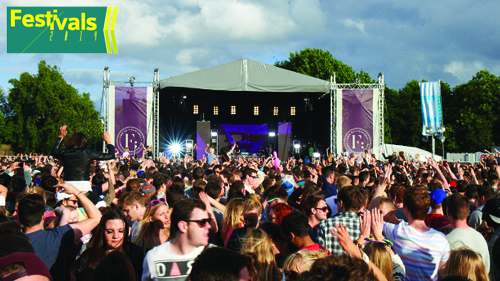 Stepping it up and staking its claim as a bringer of large-scale outdoor events, with street parties and its first-ever festival last summer, Found, which started as a club series at Hidden in 2009 before growing to fill warehouses, today sits as one of London's most reliable brands for house and techno. Taking the classic dance fest formula and planting it into a small park in east London, Found Festival — with stages programmed by the likes of Love Fever, Nofitstate and Krankbrother — is as solid as they get. 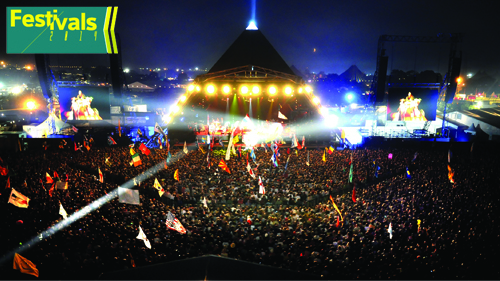 When Glastonbury returned after its hiatus last year, it reminded everybody why it's lauded as the world's greatest music festival still standing. The hype was massive as enamoured people took to social networks to buzz about the experience. The music, the atmosphere and most of all — for once — the weather! 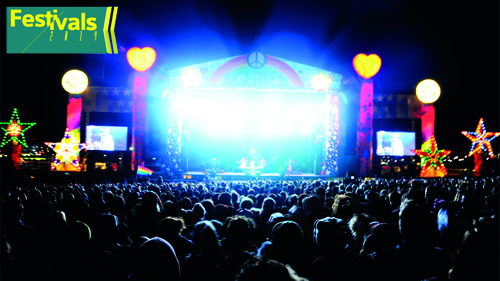 And it's back again in 2014 with more than 100 stages, many of which are purely dance tents. With Massive Attack, Arcade Fire, ESG and De La Soul all playing live, it'll be the one everyone talks about all over again. HIGHLIGHTS? Carl Cox, Marco Carola, George Fitzgerald, The Martinez Brothers, Dusky, Bicep, Huxley, Midland, Will Saul, Gorgon City, Route 94, Hannah Wants, Oneman, Zinc & Artwork, Roska, My Nu Leng and more. 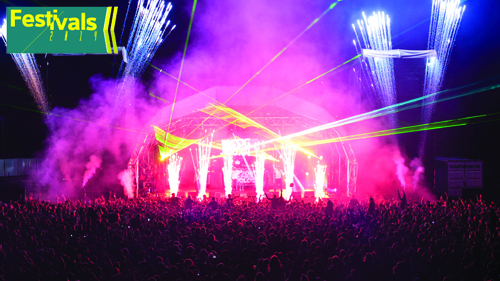 Having outgrown their original Essex location, High Definition sold every single of its 15,000 tickets in 2013. It relocates again this year to Eridge Park on the border of Kent and Sussex for another bout of a festival that describes itself as a 'medium-sized dance event'. The line-up, however, tells a different story. With a jam-packed line-up featuring Carl Cox, Marco Carola, George Fitzgerald, Dusky, a six-hour set from The Martinez Brothers and many more across various stages hosted by the likes of Toolroom, Aus and Digital Arena, High Definition is more like a big'n to us. Yep, you read that right. You didn't dream it. The now fabled rave of the early '90s is making a return, 25 years since it started at The Sanctuary in Milton Keynes in 1991. Some readers will remember the days when Dreamscape record bags were all over their high school playground — others may have even been to it (not that they will remember) — and now is the chance to actually experience it all over again. Mickey Finn, Fabio & Grooverider, Nicky Blackmarket, Seb Fontaine and Slipmatt are some of the original legends taking to the decks at the Dreamscape arena, fittingly at The National Bowl in Milton Keynes in August. 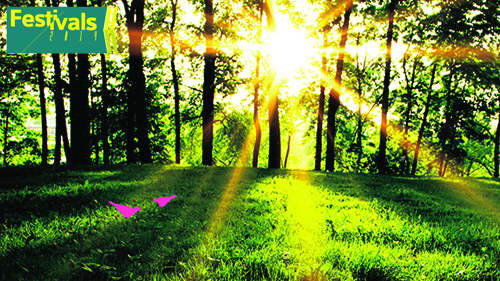 Cocoon In The Park is as much a staple on Leeds' calendar as carnival is for Rio — for the city's many clubbers at least. 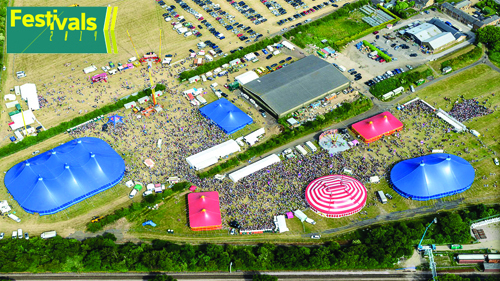 Its procession of ravers — donning specs and vests — may be a little less extravagant and the weather is nowhere near as good, but there is a reason why Sven has been returning to the same green fields site since 2008. One stage, a single field and four marquee DJ acts, simplicity is key for Cocoon In The Park — but it sure as hell packs a punch. Taking each event as an opportunity to build on the feel-good vibes of the preceding party, Farr gets better every time. 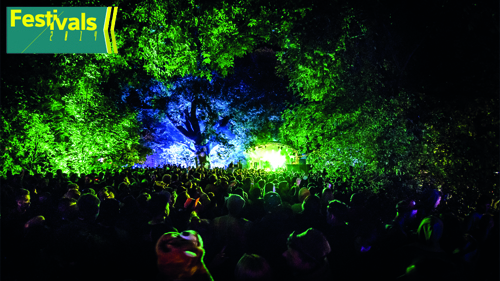 Bringing a sense of mysticism to some enchanted woods in Hertfordshire each year, it's the tightness of its programme that's really captured the hearts of its loyal following. You may have noticed there's pretty much a dance festival on every weekend in the UK this summer, and London is more saturated than ever. 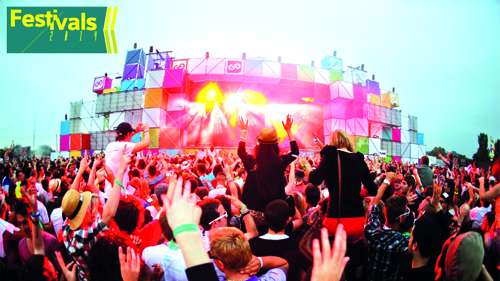 Hence Lovebox, a stronghold of the circuit since 2002, has scaled down from three to two days this year for the first time since 2009. Sunday of Lovebox really suffered in 2013 — selling so few tickets the main acts had to settle for the diminutive Terrazza stage — and that's the day that's got the chop, taking emphasis away from the gay, free and easy vibe so many love it for, and onto the grime/bass sounds of Friday and house/techno on Saturday. 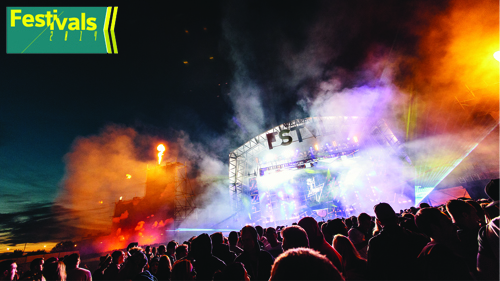 However, with the likes of Chase & Status, Nas and M.I.A headlining alongside a whole host of top-notch DJ talent, there's more than enough to make it work this year. 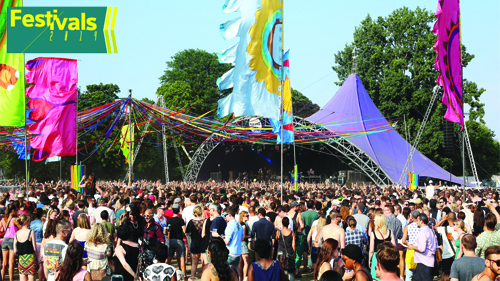 Every region has a mash-up in a field these days and Shakedown is Brighton's. Residing in the same seaside town that's home to Fatboy Slim, Skint Records and Krafty Kuts, this medium-sized event with multiple stages is as dance savvy as you'd expect. With Brighton's Audio hosting MK's Area 10 and Super Charged hosting stages, everything from house to d&b and bass is getting a look in. Born way before the dawn of shufflers or days of hipsters claiming Carl Craig as their hero, Global Gathering truly is, still, the UK's most obvious dance mecca. 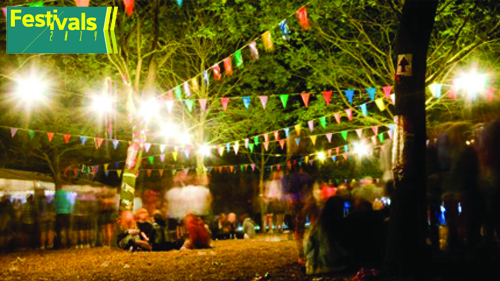 Once again billing DJs and live acts of literally all electronic shapes and sizes, this year GG's many sprawling stages — hosted by Paradise, Hospitality, UKF, Circus, Born Electric, Radio 1 and DJ Mag — will do for clubbers what Glastonbury does for hippies all over again. HIGHLIGHTS? 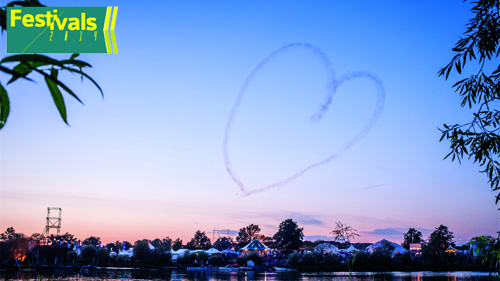 Hercules & Love Affair, Clean Bandit, Jagwar Ma, Gorgon City, Fat Freddy's Drop, Little Dragon, Kidnap Kid, Mad Professor, Maya Jane Coles, David Rodigan, Public Enemy, Palace, Max Cooper, Woz and much more. Swans, ferris wheels, helter-skelters and a giant wicker bear, it can only be Secret Garden Party. Arguably the most creatively conceived music festival in Europe — let alone the UK — this festival is an entire world of its own, this year with a 'Goodbye Yellow Brick Road' theme. With a line-up only partially disclosed to bring attention to the art of Secret Garden's surroundings, the dance music here is always as explosive as the fireworks. HIGHLIGHTS? Above & Beyond, Deadmau5, Alesso, Booka Shade, Fedde Le Grand, Loco Dice, Sasha, Magda, Eats Everything, Jamie Jones, Josh Wink, Tale Of Us, Guy Gerber, Paul Kalkbrenner, Seth Troxler, Sunnery James & Ryan Marciano, Catz 'N Dogz, Heidi, Maceo Plex, Marco Carola, Claude VonStroke, MK, Skream and much more. 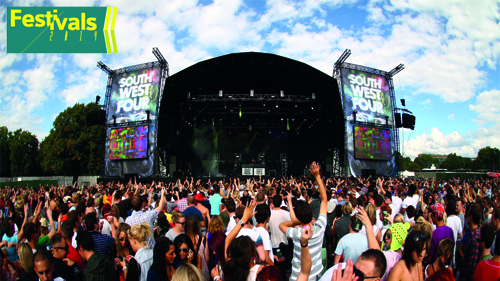 Now in its 11th year, SW4 is still the undisputed king of London despite extreme competition. The reason is simple. Every year it ups its game, reaching out for better production and always hell-bent on booking the most groundbreaking acts on the planet. Eats Everything has his own stage this year, of course so do we and Deadmau5 is closing the weekend — but the question on everyone's lips is... will he play techno? Turning the Isle of Wight into a desert island disco this year, Rob D Bank's Bestival has been living up to its name ever since it started in 2004. And every year it delivers. 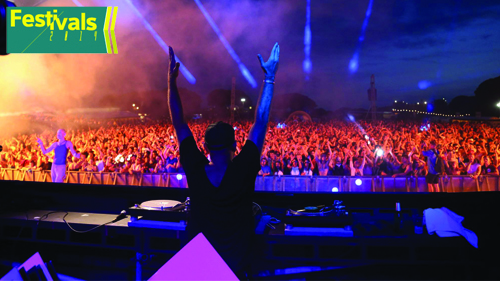 Serving up top-line rarities other festival promoters only dream of, this year Outkast, Chic and Beck are the names in lights, but it's at stages like Bollywood, The Port and Red Bull that the real dance treasure can be found. Ahoy! 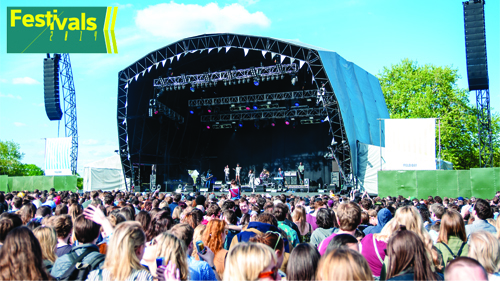 It's not easy setting yourself apart from the rest of the pack these days, but Zoo Project Festival has managed it. Starting out at Port Lympne Safari Park two years ago, it moved to the forest of Donnington Park in 2013 after realising real animals and raves don't really mix. This year, once again, the only mammals here will be the kind that shop in H&M, but the line-up is the best yet. 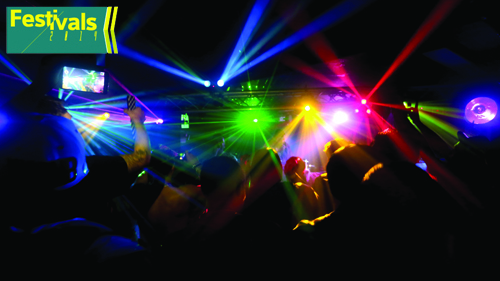 Everyone from Mr Scruff to Midland is involved with stages hosted by 17 different dance brands — including Channel Zoo, Secretsundaze, DJ Mag, Born Electric and Zutekh — but what really sets this place apart — other than the fire-breathers, giant gorillas and leopard-skin lycra — is the vibe. Maidstone might not be everyone's most obvious clubbing hotspot, but it certainly has its fair share of decent dance events. If The Source is the town's flagship club, then The Social is its choice festival. Set up by Nic Fanciulli last year, this boutique beatsmith is back in 2014 with another kicking line-up.